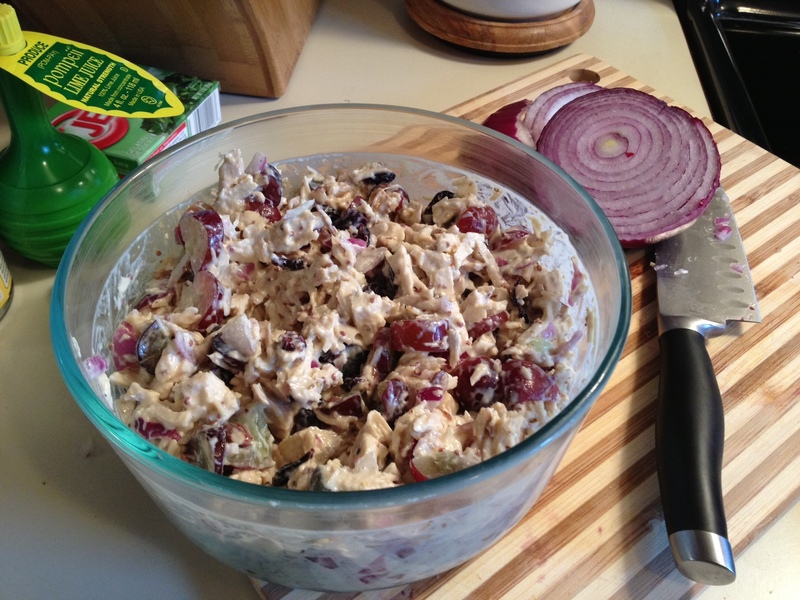 Combine chicken, grapes, almonds, celery, and red onion. Sprinkle with salt and pepper. Combine all ingredients for dressing in a small bowl, and drizzle over chicken mixture. Toss to combine. Refrigerate until ready to serve. 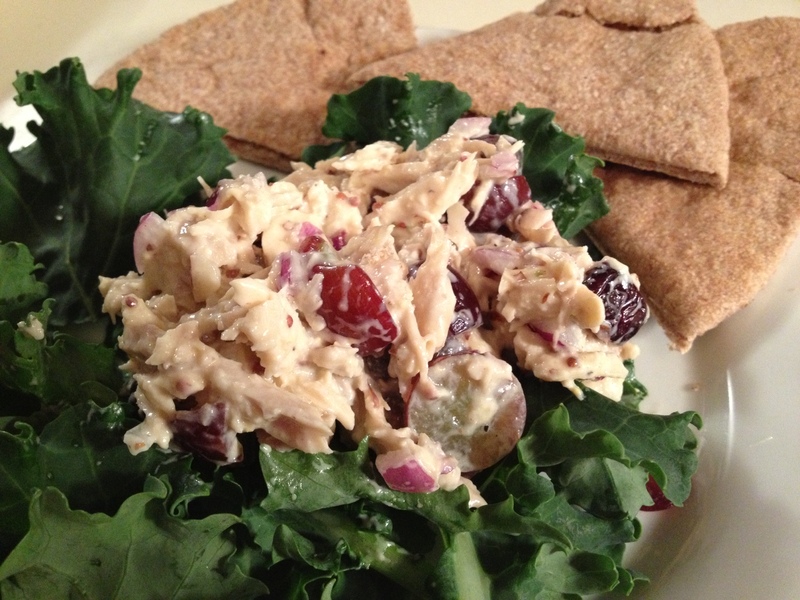 Serve over greens or as a pita sandwich!